There are a number of options for students interested in undertaking research as part of the degree. An Environmental Research project allows students to conduct an independent, original research project in a specified area of environment and sustainability. The project comprises a review of a body of literature, a review and discussion of methodology and/ or an evaluation of research or experimental protocols and some original research. Industry research projects allow students to conduct this research in collaboration with an industry partner and projects address a real world problem in an industry context. For students considering further PhD research, at least 25 points of research is recommended. GENERAL EXPECTATIONS: Review of relevant academic literature. GENERAL EXPECTATIONS: Some original research, perhaps analysis of an existing data base, document analysis or collection of small amount of original data. Includes literature review, methodology, interpretation of data, findings. GENERAL EXPECTATIONS: As for ENST90007 and ENST90025. GENERAL EXPECTATIONS: More substantial original research, data collection might include fieldwork, sampling, interviews. Report includes literature review, methodology, interpretation of data and findings. GENERAL EXPECTATIONS: As for ENST90016 and ENST90020. 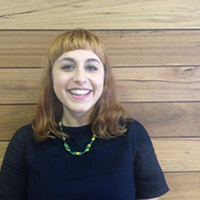 "I work at Morphum Environmental, a New Zealand based consultancy made up of engineers and ecologists. I am currently working on a project planning sustainable infrastructure and landscaping on a school in Flemington. My job is primarily project management and engagement with the school, students, parents, contractors, council and other stakeholders to ensure the planning of the project takes all needs into account. The internship I did though the OEP as a capstone lead to me meeting people in the industry I was interested in, being water and environmental management in schools, and from there I was able to come up with an idea for a research thesis with an industry partner. This thesis then lead to interest from Morphum who were looking for someone with my specific skills and knowledge around schools. The breadth of the subjects I studied as a part of the course, from Urban Planning, water management and horticulture all contributed to my relevant knowledge base. The OEP provided a wonderful community of supportive students and staff and I got a lot out of this close engagement. I helped run the Postgraduate Environment Network which gave me the opportunity to run events and plan networking nights for students and I made a lot of friends and connections out of that which I expect to continue into my career. The staff in the OEP as well as in the Burney Campus of University of Melbourne were pivotal to the development of my thesis and were extremely supportive throughout the whole process, helping shape my ideas into relevant research for the sustainable urban water industry. They continue to be supportive now as I am wishing to take my findings further into conferences and the public domain."